People usually associate risk with stock markets and losses. But risk is a far deeper concept than just loss. It is a challenge to understand and managing the risks associated with investing. To understand your risk appetite, it is important to conduct risk assessment which means to first assess your needs and financial goals. 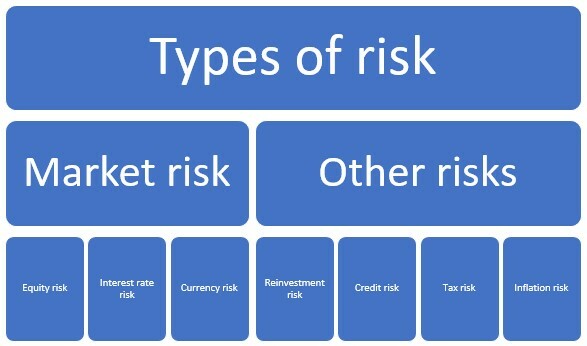 Then, you can assess the various types of associated risks. To understand what is risk assesment, let’s consider an example - you need to withdraw money from the investments you have made during an emergency. But your money is locked in. This is when you run the risk of lacking liquidity. Although there is no technical loss of money, it is still a disadvantage you stand to face at important times. This can thus be considered a risk too. Thus, to maximize your investments, understand the various types of associated risks and create a risk management plan. • Equity risk: This is the most obvious form of risk wherein the equity investment rises and falls. But remember, equity risk is only one of many types of risks associated with investments. • Interest rate risk: This occurs due to changing interest rates. • Currency Risk: This applies to foreign investment. Here, the value of an investment changes due to changes in the value of the currency. There are other risks too that you may not know of. But all these risks are equally important. They impact the overall risk associated with the portfolio. • Reinvestment risk: This occurs when the investor has to reinvest his investments. For example, take your bank fixed deposits, which mature from time to time. You must reinvest these upon maturity. But at the time of reinvesting the amount, the interest rate might not remain the same. This is the Reinvestment Risk. Investors must consider this when opting for renewal of investments. • Credit risk: This can arise when you invest in securities or bonds. For instance, bonds with a credit rating of AAA are lesser risky than AA ones. Even though AA bonds might have a better yield, the inherent credit risk is a consideration. • Tax risk: This refers to the risk of unnecessarily paying a higher tax. Tax riskoccurs when you ignore the tax-saving provisions laid down by the Income Tax Act. So, when opting for investments, do consider the tax efficiency of the product. This will reduce your tax risk, especially at the time of maturity. • Inflation risk: The returns on your investment may be lower than the inflation rate. This is the inflation risk. So, while planning for investments, think of the future. Think of the purchasing power of money and how it changes. • Concentration risk: This risk comes when there is a lack of portfolio diversification. You can curtail this risk with a diverse portfolio. That is, your investments must include different asset classes, horizons, and products, etc. People’s horizon of investment defines their risk-taking capacity. Also, risk is associated with high returns. If losses are on one side of a coin, so are the returns. Hence, the risk-return trade-off is of extreme importance and so is the need to understand types of risk management for better investing. Avoiding risk can be equally risky. For example, an investor may avoid equity to reduce his/her market risk. But this increases the risk of not beating inflation or having a concentrated portfolio. So, weigh the various risks to reduce your over portfolio’s risk and employ risk management strategies in your portfolio. If you need support, turn to IndiaNivesh which specialises in this. We spoke about how avoiding market risk can affect your ability to beat inflation. This is because risk has a close relation with your returns. Let’s look at the risk-return trade off next.